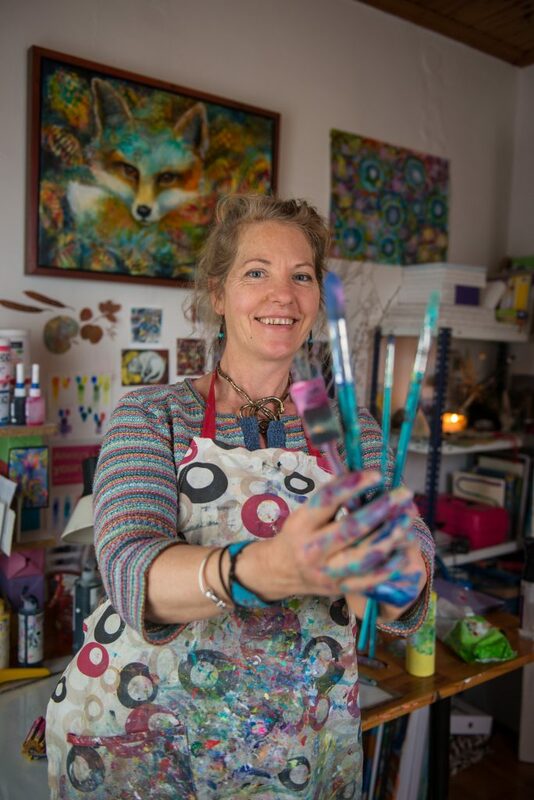 Following on from her successful solo show Fantastic Worlds of last year in Lefkas town, Lucy has been working towards her new show called Dreamtime. This year she has turned her colourful attention to the human figure, “I wanted to challenge myself, and the human figure is one of the most difficult, yet rewarding of subjects for the artist”. Lucy Jordan is an English artist living and working full time in Lefkas. Her work is in private collections throughout Europe, the USA and Australia. She also teaches on-line. 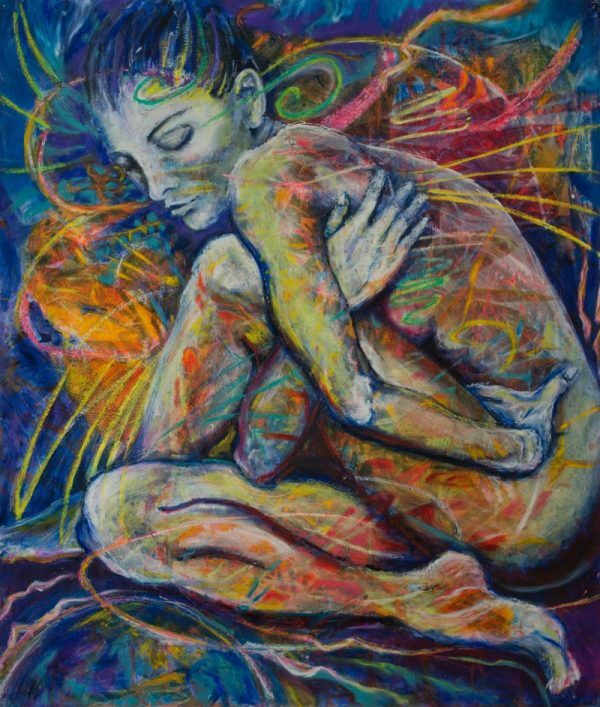 In her signature style of bright colours and fantastical abstraction Lucy has suspended the human form. “ Since my last show, which was about celebrating the natural world, I have been exploring ways to express the human situation, by that I mean where we are, as spiritual beings having a human experience, but also where we have come from and where are collectively choosing to go”. Be sure not to miss this opportunity to see some of Lucy’s extraordinary artwork. Opens Friday 1st September at the Theodoros Stamos exhibition hall in Lefkas, and everyday till 10th September. 10am – 2pm and 6pm -10pm.